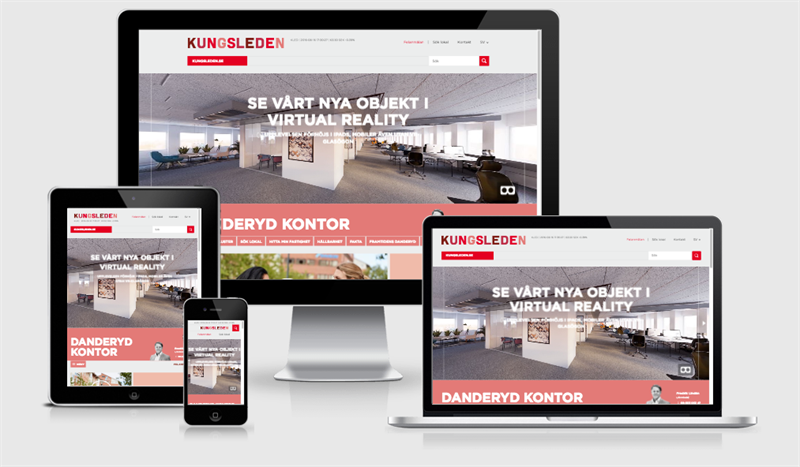 Today, Kungsleden launches the website danderydkontor.se (http://www.danderydkontor.se/), a unique site that brings together services, information and inspiration for the company's tenants and others who are staying, visiting or working in Danderyd. The site is a way for Kungsleden to get closer to tenants and prospective customers by becoming a hub of valuable services and information. The new site provides services, information and inspiration. There are, for example, real time information on traffic conditions, departures of public transports and the next training session on the area's training center. Other examples of content are lunch hints, events, vision plans for the area, facts about Danderyd, inspiration from local businesses, tips on jogging and bike paths, and more. ”The website will be a tool for us in our communication with the tenants. We hope it will become a hub for our cluster Danderyd Kontor. On the site you can also search for available premises and get to know more about us and our properties,” says Eva-Lotta Svensson, Kungsleden’s Market Area Manager in Danderyd. Danderydkontor.se will be constantly updated with new content from both tenants and from Kungsleden, so that it always will provide an updated view of offerings and what is happening in the area around Danderyd Kontor. The site also offers a VR tour of premises in Danderyd. “This is a way for us to continue working with our cluster strategy. The strategy contributes to effective property management, good local knowledge and ability to understand and meet old and new customers’ needs. We also cooperate with other actors in the areas in order to create attractive environments between the buildings,” says Marie Mannholt, Communications and Marketing Manager at Kungsleden. The site danderydkontor.se is Kungsleden’s first cluster website and the plan is to continue to develop the concept for other clusters as well. Kungsleden currently has eleven clusters. The site is a part of kungsleden.se, is based on EPiServer CMS and is developed in cooperation with Amandus Communication AB. The information was provided for public release on 9 December 2016 at 07:00 a.m.